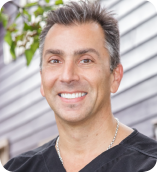 Dr. Frank Dr. Frank is a graduate of Emory University ‘87 and The University of Pennsylvania School of Dental Medicine ‘91. He completed a residency at the VA Medical Center in Albany. Dr. Frank's education has not stopped there. Since his residency, he has attended hundreds of hours of continuing education and will continue to do so in order to provide his patients with optimum care. He has two beautiful sons, Zachary and Nicholas. When not creating beautiful smiles, Dr. Frank and his family enjoy football and traveling. Jola has been dental assisting for greater than 18 years. She is originally from Poland but has lived in the United States for quite some time. We are very grateful to have added her to our dental family. Her assisting skills along with her soft caring chairside demeanor makes people feel very comfortable and relaxed during treatment. When not at work Jola enjoys spending time with friends and dancing. 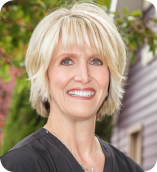 Karen has been with our practice since 2005; however, has been in the dental field since 1995. She is an asset to Rose at the front desk and will gladly try and assist you with any concerns. Karen has been married to her husband, Michael, for over 41 years and has been blessed with two children and four grandchildren. 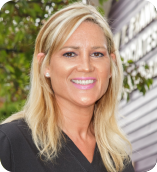 Kaleigh has been in the dental field for 11 years with both dental assisting and practice management experience. She recieved her dental assistant certification in 2011. She is passionate about ensuring that patients recieve the best experience possible. 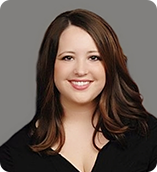 Kaleigh also started a local study group specifically for dental office managers to enhance their careers and have access to superior continuing education on a local platform. Outside of the office, Kaleigh loves entertaining, cooking, and traveling. 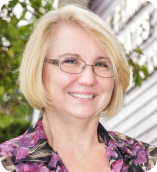 Ann Marie has been with our practice since 2006; however, has been a dental hygienist since 1988. 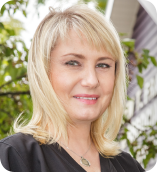 She is a very hardworking and capable hygienist who is vey passionate about her profession. She is always up to date and informed on the latest hygiene products and techniques in order to provide our patients with the best. Ann Marie is blessed with two beautiful children, Alex and Andrea. When not working, Ann Marie enjoys cooking, gardening and decorating. 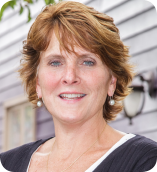 Rose has worked in the dental field for since 1990. She has great deal of knowledge and experience, at the front desk, to help you with all of your scheduling, insurance and financial needs. She was just recently added to our dental family (2014) after a recent retirement of long time employee. We are very blessed to have her in the office and we know that you will feel the same way. Rose has been happily married to her husband Dave since 1987. They have two children Alyssa and Matthew. They enjoy camping and boating with family and friends.